NASBA’s transition to fully outsourcing its IT operations to CGI is scheduled to be concluded this month. At the January NASBA Board of Directors Meeting, NASBA President Ken L. Bishop described how the decision was made to turn to outsourcing, why CGI was selected as the supplier and what this strategic move is expected to bring to NASBA. 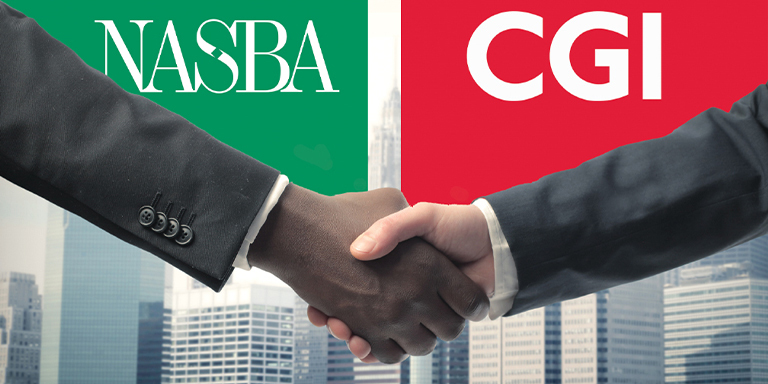 Under a long-term agreement, CGI will be providing NASBA with application development and maintenance, infrastructure operation and engineering, cloud services management, end-user support and service desk response. A joint governance model will provide CGI and NASBA with sustained reporting and performance analysis. “Our expectation is to have an enhanced IT capability and flexibility in IT capacity that we have never been able to achieve with a fixed internal shop,” President and CEO Ken L. Bishop told the NASBA Board. “While this restructuring investment will have a significant financial impact in the current fiscal year, it will ultimately produce savings over the long term of the contract. “ He assured the Board this will not diminish the projected funding for mission spending. CGI was founded in Quebec City in 1976. CGI stood for “Conseillers en Gestion et Informatique” (which translates to “consultants in management and information technology”). Today CGI has 74,000 employees who are working in hundreds of locations worldwide. In 2017, CGI acquired CTS, then based in Birmingham, AL, a firm that had successfully consulted with NASBA on several IT projects.